Beautifully bright flowers in shades of orange and yellow glow like the sun! The daisy-like blossoms are useful when fresh to add color to soups, salads, and rice dishes and can also be used dried for crafting. 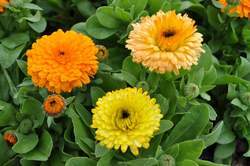 Also referred to as pot marigold. 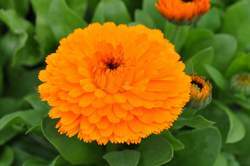 Find Great CALENDULA Recipes Here! 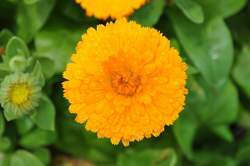 Find Great CALENDULA Recipes Here!